My Pure Sleep Review - 'Drool City' All Over My Pillow & More Fun ? I snore (at least, I used to snore). I’ve tried a whole lot of anti-snoring devices, and it took me a while to find the right solution. It also cost me a lot of money, so reviewing stop snoring devices has become something of a specialty for me. I want other people to find the right device before they spend a fortune trying everything under the sun. Will this device stop you from snoring? Should you buy it and try it? Read my pure sleep review and decide for yourself! 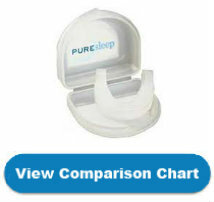 Like many other stop snoring devices, the Pure Sleep is a mandibular advancement (MAD) device. The whole idea behind this concept is that if you hold the lower jaw in a slightly forward position during sleep, your airways can’t get blocked and you won’t snore. In theory, this should work for you. In practice, not all devices hold your jaw just right, are comfortable or allow you to sleep soundly. The Pure Sleep anti-snoring device is designed by a doctor, and you customize the mouthpiece to fit your mouth by placing it in hot water and then biting down on it to create an impression of your teeth. Then you pop it into your mouth before going to sleep and you don’t snore any more. So far, everything sounds great. What was my experience? Read on or simply visit the comparative chart to see how this device checks out compared to others. First up, it took a long time to get my new mouthpiece. I had to do a couple of follow-ups. Complaints I found online told me that a lot of others had the same issue. Anyway, it eventually arrived. It’s quite nicely packaged with a cute case to keep it in and a whole bunch of instructions to follow before you can use it. I’ve tried simpler devices, but getting a comfortable fit was always a problem. This was my first attempt at the ‘bite to fit’ idea, and I was cautiously optimistic. There’s just one problem: if I don’t get the fitting process right, I’ll have to bin my expensive device and get another, so I went through the whole process very carefully (it wasn’t all that easy) and voila! One custom-fitted Pure Sleep mouth guard. You might have a different experience, but I see that quite a few other Pure Sleep reviews are written by people who had the same problems I had with this mouthpiece. I don’t know if I got the extremely complicated fitting process right, but I had trouble getting to sleep. But one can get used to going to sleeping with something in your mouth, so I left it in and eventually drifted off. The worst part was that I drooled like crazy with this mouthguard in. I woke up in the morning with a sopping wet pillow and an aching jaw. After a few days, my jaw didn’t ache so much, but it was still Drool City and my pillow was just as wet when I woke up. I still had trouble getting to sleep. On the upside, my partner said that I wasn’t snoring. Yay! (I think) Now if only I could sleep properly with this thing jammed into my mouth, we’re onto a winner! The bad news is that I never did get quite comfortable with the Pure Sleep device. I even started calling it ‘pure insomnia’! 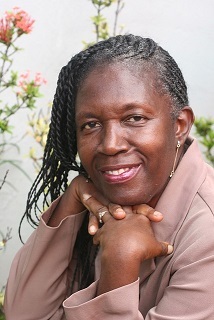 As long as you don’t have any existing dental issues, it’s ok to use. It’s designed by a doctor. You can adjust it to three settings and it’s custom-fitted. Fitting was really complicated. If I got it wrong, I wouldn’t be able to reverse the damage. Passion-killer alert! Drooling will happen, and that’s way unattractive. It’s hard to sleep properly with this device in your mouth. Your mouth hurts when you wake up. It gets a bit better over time, but it still hurts. It only lasts for 6-9 months and then needs to be replaced. Factor this in when looking at cost. Yes. Read other Pure Sleep reviews if you want to double-check. If you can live (and actually get decent sleep) with the discomfort of wearing it, it does work. But for the price, you can do a whole lot better. And you can sleep a whole lot better too. And you don’t have to drool. It’s just a matter of finding the right device. With that in mind, why not check out this snoring device comparison chart ? You’ll be able to draw your own conclusions from that.